Then one LSD, my sister Jehan said, “Don’t be a NEGA-star.” I was convicted. If I were to finish this marathon, I’d better change my current state of mind. 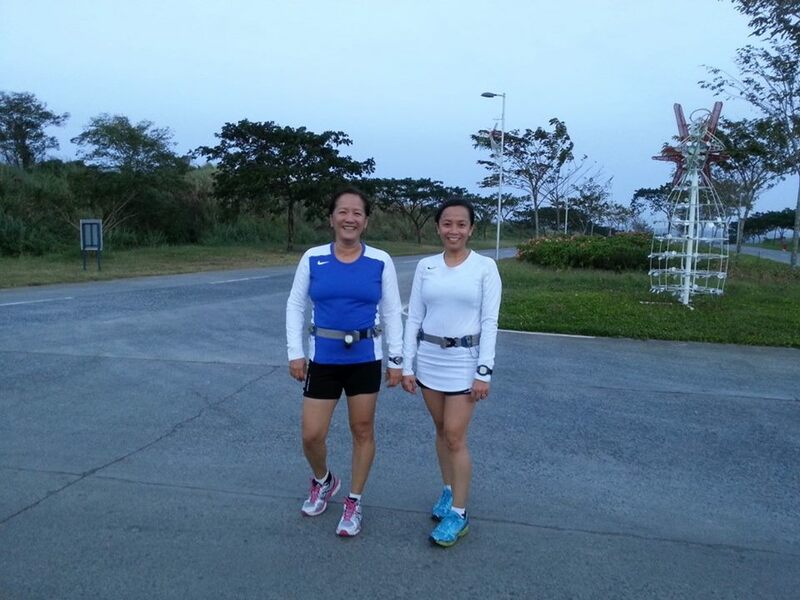 Last Saturday, we did another LSD in Nuvali. This time around, my outlook was different. I have decided to enjoy the training, the journey towards marathon day. When we started, it was still very dark and chilly but not as cold as last week. 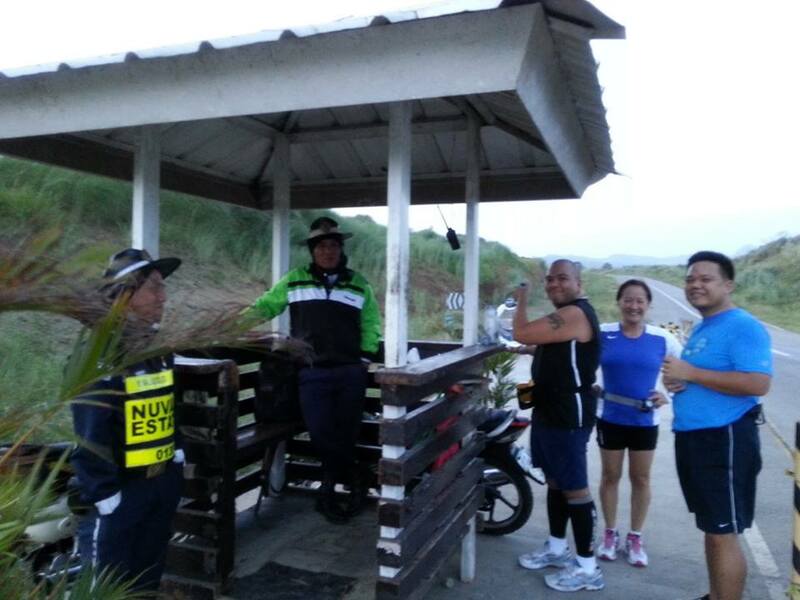 Around 3km, we met Eric and She, who were also training for TBRDM. They were using a different interval so they sped ahead of us. At 6km we met them again and they told us that if we needed to refill our Nathans, we were free to get from the two big bottles of water they left at the guard house. Why thank you! Thank you for your generosity. 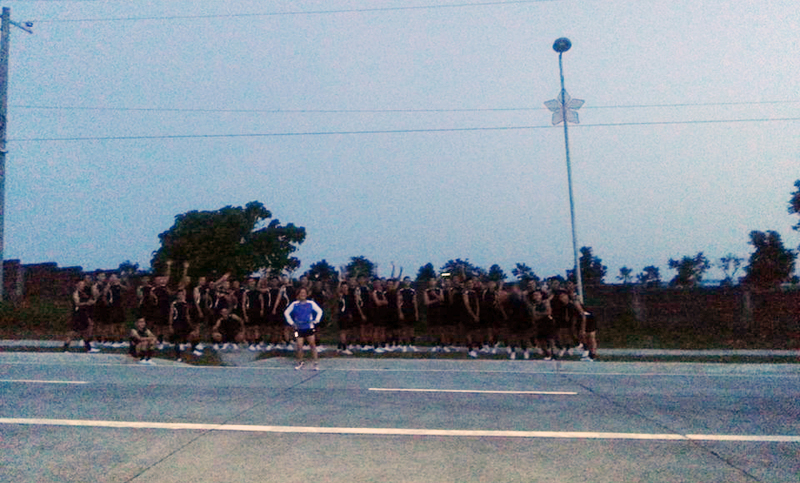 When we were near Wakepark, we saw cadets all in identical black Adidas shirts, jogging and chanting. They said, “Good morning ma’am!” all at the same time to me. It was really cool. They gladly posed for the camera when I asked them if I could have my photo taken with them. Running up from Wakepark we were surprised when we saw Richard and Obbie, who were also training for TBRDM. I must admire these two men. They were really dedicated in training. When we reached the loop at the back of Miriam College, there was a roadblock. The big question was: What now? We couldn’t decide whether to move forward or just go back. 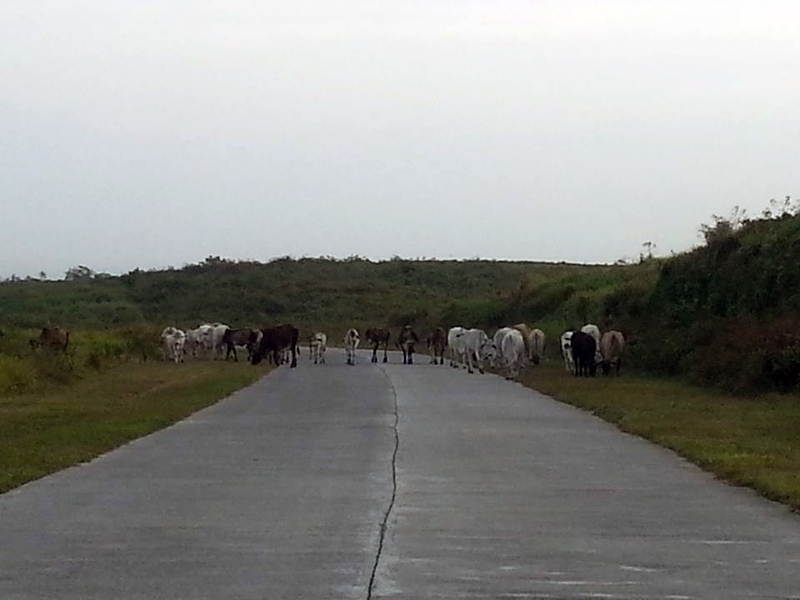 We slowly inched our way toward them and they moved to the side of the road. Ok, it was safe to go. Then suddenly, this bull, the biggest of the herd, started walking towards us. He had angry eyes and he even snorted as if ready to attack us! I was scared to death. We did not look at him and very, very slowly moved away. 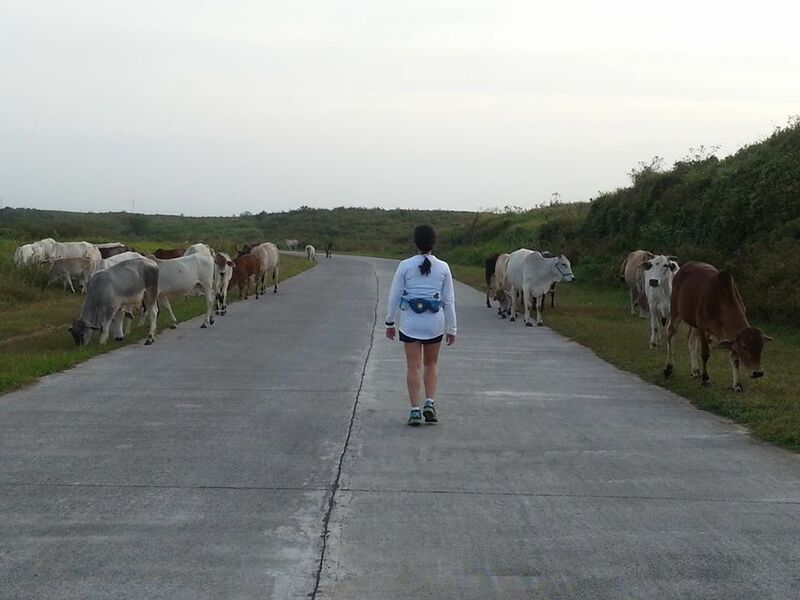 To our relief, the bull walked away. Whew! If by chance he attacked us, Jehan and I would have run a PR! Hahaha! A few kilometers away there was a dog with new born puppies. Uh, oh. Again we slowly walked on the other side of the road and did not run until we felt it safe. Whew! Bulls and dogs won’t stop us. 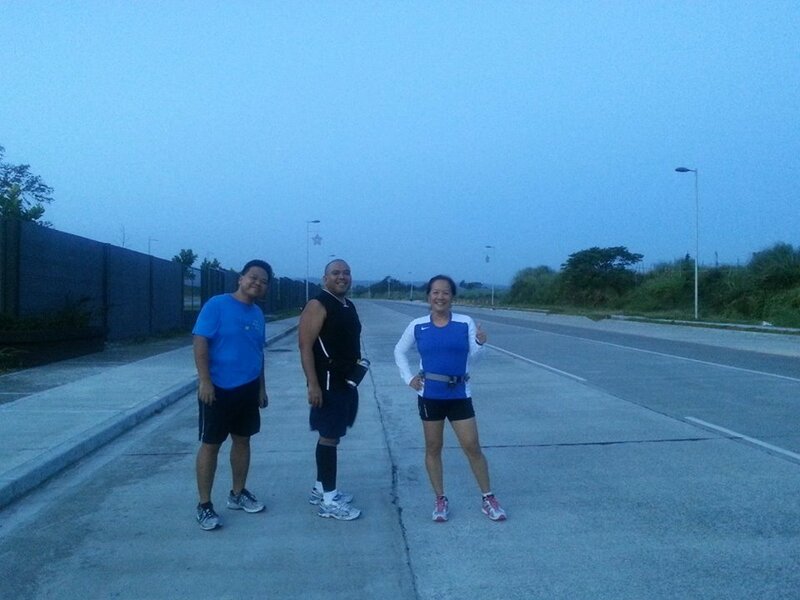 The good thing about training in Nuvali was that we became more and more familiar with the race course. We tried to remember everything we saw, we heard, we smelled, and how we felt while running. These would come in handy for visualization. Overall, I’d say that the morning was perfect. The weather was cool, but not too cold, we were able to finish 27 kilometers and did not feel wasted. My legs were still fine until the end. And guess what? Jehan didn’t hear even one complaint from me. I think it was really because I had a different attitude. You could say I had a change of heart. A fun and a bit scary run, uniquely memorable! Lol! I’m one of your TBRDM batchmates. Aside from the Bull Sessions, wish I could practice at Nuvali too but it too faaaaar away. Hello Fer! Thank you for reading my post.